Size for size, LadderGrips are the best ladder stabilisers money can buy. For non-UK orders, please click here. Please also contact us if you live outside the UK mainland. Ladder Grips fit all box section ladders and can improve your ladder's stability by up to 350%. 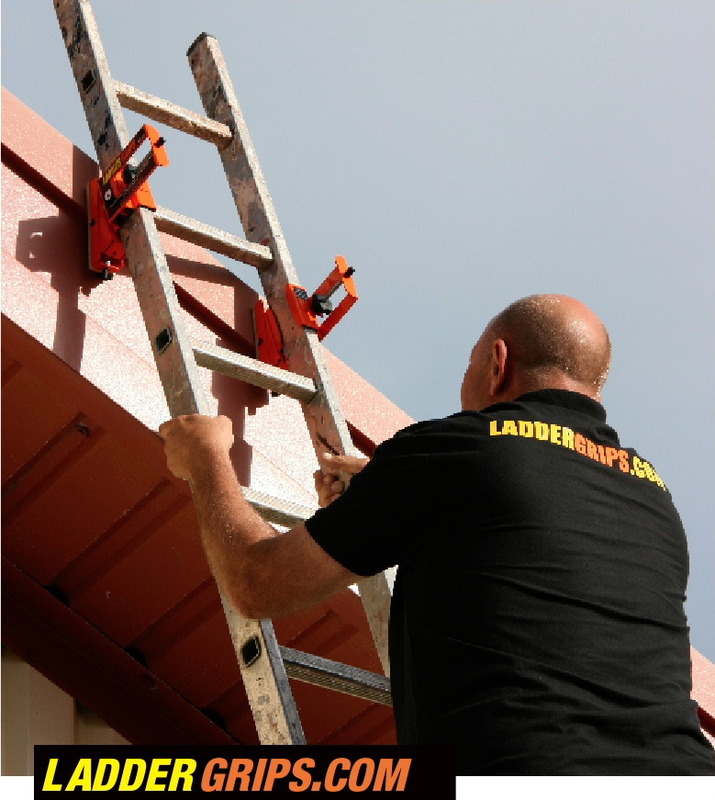 The revolutionary ladder safety device is for anyone who uses a ladder and wants to stay safe! Ladders remain the major cause of accidents worldwide involving falls from height. In both Britain and the US, around 40% of fatal falls over the last decade have involved a ladder, the key reason being that ladders are prone to slipping. 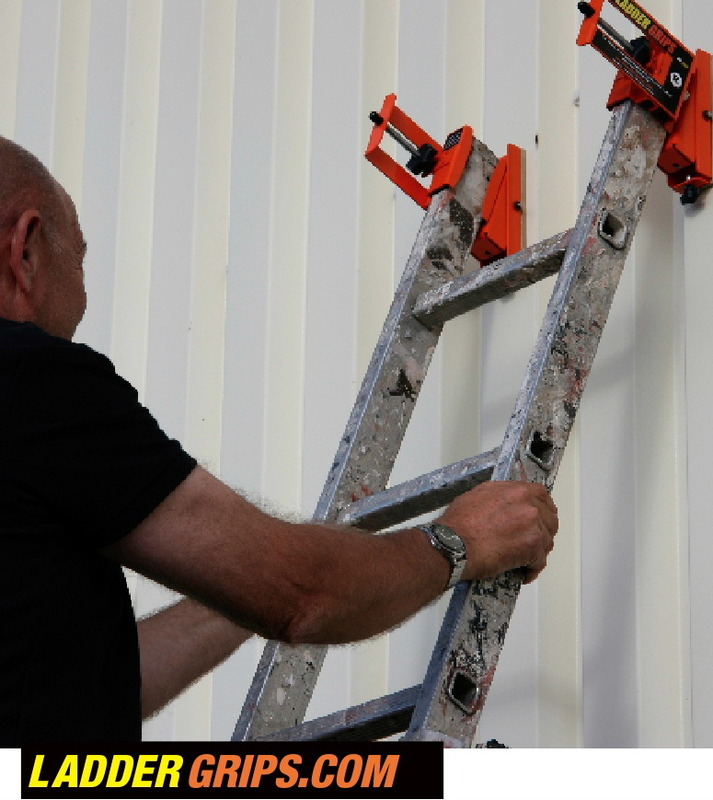 Ladder Grips is a revolutionary ladder safety device that improves ladder stability by up to 350% - see demonstration video. 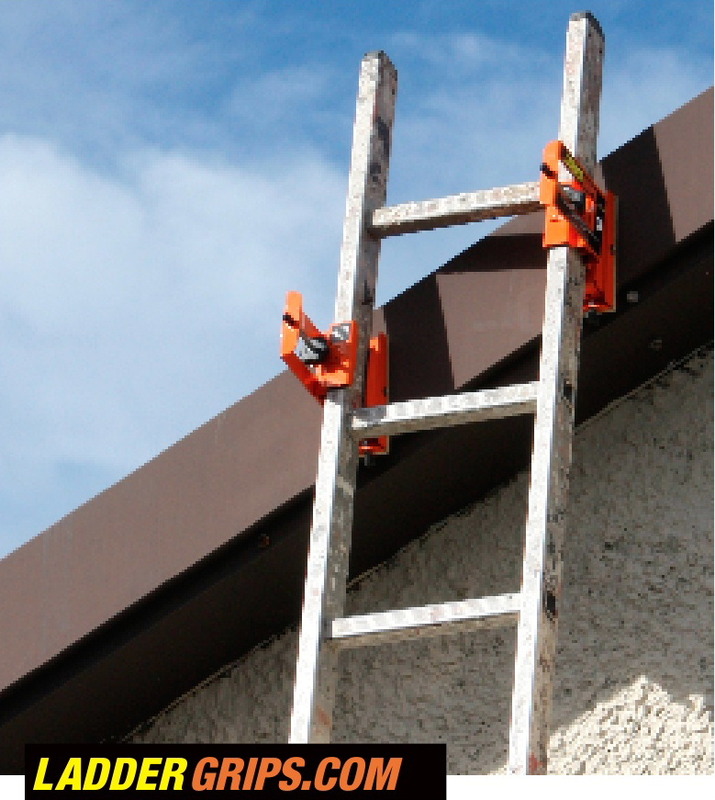 Most ladder safety devices aim to secure the ladder’s feet. Ladder Grips are different. They fix the top of the ladder because, if the top is made immobile, the feet are unlikely to move either, thus securing the ladder and making it far safer to use. The key feature that makes Ladder Grips so powerful in improving ladder safety is the formulation of the rubber pad; to ensure the Ladder Grips will have unrivalled gripping power, the pads should be cleaned with soapy water and dried before use. What’s more, Ladder Grips are also small enough to pack away in your tool box once the job is done, or you can leave them on the ladder for storage. Whether you work with ladders or are a homeowner who occasionally uses them, don’t risk injury or even death. Secure your ladder with Ladder Grips. Check out our demonstration video, then order your Ladder Grips today! Need to speak to us? Call 07824 999520. Thousands of people are seriously injured after falling from ladders every day - some fatally - because the ladders they are on slip. 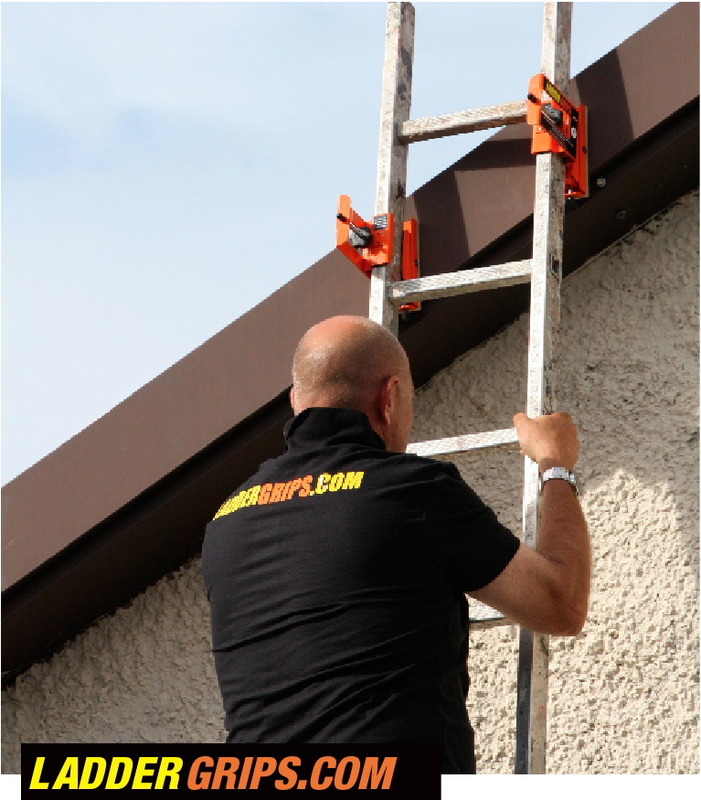 Now, you can reduce your risk of falling from a ladder with Ladder Grips, the revolutionary ladder safety device now available to buy online. 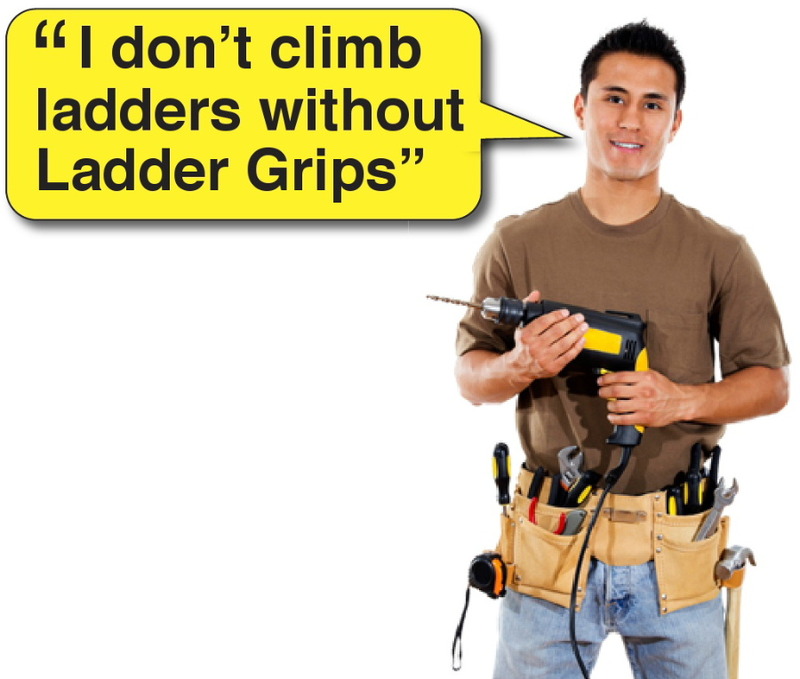 Buy your Ladder Grips today and stay safe when using ladders! If you reside outside the UK, please click here as you cannot order online at this time. Looking for the ultimate ladder safety device? Ladder Grips is a revolutionary and easy-to-use ladder safety device which improves ladder stability by up to 350% and is simple to use. 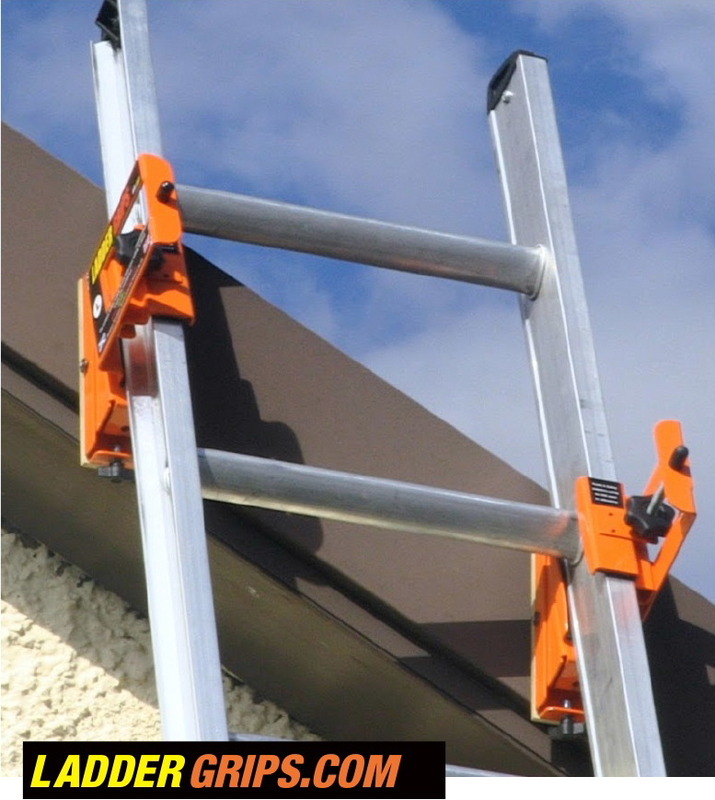 So, if you are looking for easy-to-use ladder safety devices, choose Ladder Grips, the market leader in ladder safety devices.